The annual amfAR Cinema Against AIDS Gala will hit Cannes tomorrow, May 19, with some very special guests. 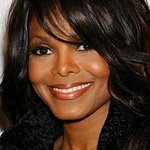 Janet Jackson, Brooke Shields, Gwen Stefani, Michelle Yeoh, Milla Jovovich and Patrick Dempsey are expected to be among the guests during the event at the 64th annual Cannes International Film Festival. Other event chairs include amfAR Chairman Kenneth Cole, amfAR Global Fundraising Chair Sharon Stone, Karl Lagerfeld and Donatella Versace. The annual star-studded event at the Hotel Du Cap-Eden-Roc in Antibes, France, will include a formal dinner and a world-renowned live auction, all to benefit amfAR, The Foundation for AIDS Research. As in previous years, Harvey Weinstein will recruit talent from the room to help with the live auction. amfAR’s annual Cinema Against AIDS galas have been important and successful fundraising events for the Foundation since 1993. Past events have been chaired by Dame Elizabeth Taylor, Sharon Stone, President Bill Clinton, Demi Moore, Sir Elton John and Madonna. Over the years, Cinema Against AIDS has become the most eagerly anticipated and best-publicized party held during the Cannes Film Festival. Cinema Against AIDS events are always marked by unforgettable moments: from Sharon Stone dancing along to an impromptu performance by Sir Elton John and Ringo Starr, to George Clooney bestowing a kiss on a lucky auction bidder, and Mary J. Blige bringing the crowd to its feet during a moving rendition of U2’s anthem “One.” The event consistently has the most exciting and diverse guest list of any party held during the festival. It includes many of the celebrities and personalities associated with the film festival, while also attracting familiar faces from the worlds of fashion, music, business, and international society. Since 1993, Cinema Against AIDS events around the world have raised nearly $60 million for lifesaving AIDS research.